Please enter the e-mail address specified in your account settings. After receiving the email with a special verification code, you will be able to enter a new password for your account. A letter containing a verification code was sent to your email address. Please enter it in the box below. This will confirm that you are the owner of this account. Start on 2019-04-19. Water reservoir “Rober To”: For the caught carp or grass carp of more than 15 kg – 1 bonus point to the total score. Start on 2019-05-17. Water reservoir “Vovkove”: For the caught carp or grass carp of more than 12 kg – 1 bonus point to the total score. Start 2019-06-21. Water reservoir “Marievka”: For the caught carp or grass carp of more than 15 kg – 1 bonus point to the total score. Start on 2019-07-05. 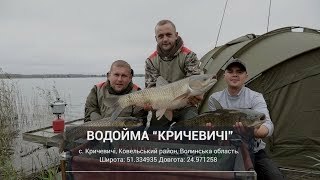 Water reservoir “Krychevychi”: For the caught carp or grass carp of more than 11 kg – 1 bonus point to the total score. Start 2019-07-26. Water reservoir “Pidkova”: For the caught carp or grass carp of more than 11 kg – 1 bonus point to the total score. Start on 2019-08-16. Water reservoir “Kruta Balka”: For the caught carp or grass carp of more than 13 kg – 1 bonus point to the total score. Start on 2019-09-13. "Orlean" Lake. The first 30 teams according to the 2019 overall result will participate. Organizers: Salnik Maksym, TV Channel “Trophy”. Team composition: 2 equal sportsmen, Coordinator (with the possibility of substitution). Stage 7 "FINAL BATTLE" - water reservoir “Orlean”, September 13-15, 2019, 1 bonus point for the caught carp or grass carp weighing more than 13 kg. Voluntary entry fee for Qualifying Stage 1 is UAH 4,800, for Team Participation in the Stage of the Tournament. Voluntary entry fee for Qualifying Stage 2 is UAH 3,200, for Team Participation in the Stage of the Tournament. Voluntary entry fee for Qualifying Stages 3, 4, 5, 6, 7 and “FINAL BATTLE” Stage is UAH 2,800, for Team Participation in one Stage of the Tournament. Stage Duration: 42 hours Non-Stop. Venue Days: All Stages are held on Fridays, Saturdays and Sundays. The dates are mentioned above. Arrival at the Stage venue and team registration: Friday from 12 p.m. till 12:50 p.m., on the date according to the Calendar Schedule. Draw: Friday 1 p.m., on the date according to the Calendar Schedule. Entry into the Sector: Friday from 2 p.m., date according to the Calendar Schedule. Start of the competition: Friday 6 p.m., date according to the Calendar Schedule. Finish of the competition: Sunday 12 p.m., date according to the Calendar Schedule. Award Presentation: Sunday 2 p.m., date according to the Calendar Schedule. Big-Fish - a sponsor’s prize. 3rd place in the Zone - a diploma, prizes from the Sponsor. *Should the number of Teams participating in the Tournament Qualifying Stage “IRON FISH” be less than 20 (twenty), then the sponsor’s prize fund shall not be presented and not paid. Trip with the TV Channel “Trophy” crew on a Carp fishing competition with Method and Flat Method Feeder. There shall be a movie produced about the trip and shown on the TV channel “Trophy”. Big-Fish – a sponsor’s prize. 2.1. The 2019 “IRON FISH”Tournament shall consist of six Qualifying Stages and “FINAL BATTLE” Final Stage. 2.2. The Tournament shall be held with the Team Score. Teams from 2 people shall be allowed to participate (a team consisting of 1 person shall also be allowed to participate). 2.3. Each participant of the acting Team must be dressed in a vest (corselet) of the prescribed form to be provided by the Tournament Organizers. The Participant of the acting Team SHALL HAVE NO RIGHT to be in his Sector without a specified vest (corselet). For violation of this paragraph of the Rules the Participant SHALL BE DISQUALIFIED! 2.4. The Team may have the Team Coordinator, who has no right to take part in the fishing, playing of fish, pre-baiting, catching fish in the dip net, preparing gear and baiting. He shall have the right to help with everyday matters within the Team, keep records of caught fish, assist the Judges in fish weighing. A Team Coordinator may enter/exit the Team by permission of the Judge. 2.5. The Coordinator SHALL HAVE THE RIGHT to substitute one of the two Team members, having previously notified the Judge of this fact and dressed himself in a regulated vest (corselet) provided by the Tournament Organizers. 2.6. Each Stage of the Tournament shall be held in the "Non-Stop" format for a duration of 42 hours without breaks. Each Stage (including the Final) shall start at 6 p.m. and end at 12 p.m. on Sunday. 2.7. In unforeseen circumstances the competition shall be deemed to have taken place if its duration was not less than half the time provided by the Rules. 3.1. The Team must submit an electronic application on the official website of the Tournament at https://iron-fish. 3.2. The Team shall be considered to be registered after making 100% payment of the voluntary entrance fee for participating in the Tournament Stages specified at the registration. In case of a no-show of the Team, the voluntary entry fee paid by the Team SHALL NOT BE REFUNDED. 3.3. When registering at the “IRON FISH” Tournament Stages, preference shall be given to the Teams who have submitted the Registration Application and paid a voluntary entry fee for participation earlier than other Teams. 3.4. The first 10 Teams of the Overall Rating of the previous Tournament season shall be allowed to register for the Qualifying Stages of the 2019 Tournament a week before the General Registration of Teams is opened. 3.5. The final registration of the Teams shall take place at the water reservoir where the Tournament Stage is held from 12 p.m. till 12:45 p.m. on Friday, on the date according to the Calendar Schedule. 3.6. The Organizers shall have the right to refuse to register the Team without explaining the reasons. 4.1. Voluntary entry fee for Tournament Stages 3, 4, 5, 6 and “FINAL BATTLE” Stage shall be UAH 2,800.00. The voluntary entrance fee for Tournament Stage 1 shall be UAH 4,800.00. The voluntary entrance fee for Tournament Stage 2 shall be UAH 3,200.00. 4.2. Upon submission of the electronic Application, the Team shall pay a voluntary entry fee in the form of a bank transfer no later than 4 weeks before the start of the Tournament (details are specified on the official website of the Tournament at https://iron-fish). 4.3. In case if based upon the preliminary registration results, at any of the Tournament Stages, a reserve has been created from the Teams of the participants, it shall be necessary to confirm the participation of the Team, expressed in the payment of the voluntary entrance fee (in full amount). The Organizer shall inform the Teams about this necessity by sending out an e-mail message to the Team Captain’s e-mail address indicated at the registration. 4.4. In case of refusal to participate in the already paid Stage of the Tournament, the voluntary entrance fee SHALL NOT BE RETURNED, and the Priority to participate in the Tournament Stage shall be given to the first in line Team from the established reserve who has paid the voluntary entrance fee. 4.6. Teams in the Reserve that do not pass on their previously paid Tournament Stage, due to the lack of vacant places, SHALL RECEIVE THE REFUND in full no later than one week after the paid Tournament Stage has taken place. 5.1. The draw procedure shall be held on Friday at 1:00 p.m., on the date according to the Calendar Schedule. 5.2. Drawings shall be conducted under the control of the Organizers and in the presence of participants’ Teams. The Chief Judge of the Tournament Stage shall take the registration number of the Team, which starts Sectors’ Draw (the registration number is assigned to the Team in the process of registering the Team on the website after payment of the entry fee). A representative of the named Team shall extract the Sector number of his Team, followed by the next in number Team (in ascending order) pulling its Sector number. 5.4. If 15 or more teams have registered for the Tournament Stage, the Sector Division shall be divided into three Zones A, B and C, and the named Team draws Zone and Sector. 5.5. Should the number of Teams participating in the Tournament Stage be less than 15, then the distribution of the reservoir into Sectors shall not be provided, and the result of the Teams shall be counted in the Total Stage score. 5.6. The Rules provide for the “Black Pirate” Sector, the Team that has extracted this Sector shall have the right to select the Zone (If provided for the Tournament Stage) and the Sector from the available ones at its discretion. 6.1. The Division of Sectors into Zones (if any) shall be held by the Organizers of the competition prior to Registration and Draw. The size of afishing Sector shall be at least 20 meters in length and 10 meters in width along the coast. 6.2. The distance between the fishing Sectors (from the external boundary of one Sector to the external boundary of another Sector) must be at least 8 meters. If necessary, Sector boundaries may be marked with pegs or other distinguishing elements. They are the pointers of the fishing area. In case they are absent, it shall be necessary to clarify with the Judges the boundaries of the Sector in the presence of the representative of the neighboring Team. 6.3. After the draw and signal “Entry into the Sector”, the Team must place all their ledger tackles and feed in its (based on draw results) Sector. All manipulations with ledger tackles and feed shall be performed only within the Sector boundaries. 6.4. Sportsmen shall be permitted to set tents, shelters, umbrellas at their discretion within the Sector. Ledger tackles, accessories, platforms, armchairs and other objects located in the Sector and their parts shall not be outside the Sector boundaries. Rear legs of the chair, platforms must remain on the shore. 6.5. Sportsmen, the Tournament participants, shall be allowed to catch, throw, play, bait, take fish into the netonly within the limits of their Sector. 6.6. The Organizers envisage the Fair Play rules. If a fish has deviated and entangled in the Neighbor's ledger tackleit shall be allowed, with the consent of the Neighboring Team, to leave the Sector, enter the Neighboring Sector and release the ledger tackle, and then return to its Sector to take the fish into the net. The decision to Credit this fish shall be taken by the Judges in the absence of objections from the Neighboring Team (whose ledger tackle has tangled). 6.7. It SHALL BEPROHIBITED to enter the water (to swim) during the competition. Exception shall be when entering the water is required to play the fish or release a ledger tackle (or fish that is likely to be hooked), with the possibility of entering the water NOT HIGHER than the chest. 6.8. Two sportsmen of the same Team shall be allowed to enter the water at the same time only in case of simultaneous cutting of two fish. It is allowed to enter the water only at a depth NOT HIGHER than the chest. 6.9. A participant may exit beyond the limits of his Sector only with the permission of the Judge. A participant who stays in the Sector shall have the right to catch fish using two fishing rods. 6.10. Both working rods must be pulled out of the water and located on the shore when both participants exit outside the Sectort. Exit shall be allowed only with the permission of the Judge. 6.11. These Rules shall allow the participants of the Teams competing in the Tournament to travel to their Sectors by private motor transportation (Upon agreement with the reservoir administration). Motor vehicles may be positioned within inner boundaries of the Team Sector until the end of the Tournament Stage. During the Tournament any movement of vehicles shall be prohibited except for force majeure circumstances, whereof the Team shall inform the Judges and obtain permission. 6.12. The movement of Event Organizers’ motor transport, accredited by mass media and the panel of Judges SHALL BE ALLOWED (Upon agreement with the reservoir administration). 6.13. In the Sector, during the Competition, there may be only 2 sportsmen of the Team wearing the vests (corselets) in the form set by the Organizers, and the Coordinator. Tournament Judges, persons invited by the Tournament Judge, accredited mass media representatives, as well as sportsmen of other Teams in accordance with paragraph 6.14. of these Rules form an exception to the previous sentence. 6.14. Sportsmen from other Teams may enter the Team’s sector only after receiving the permission of the sportsmen of the Team occupying this Sector. 6.15. Accredited representatives of the mass media SHALL BE ALLOWED to move without restrictions in the competition zone, subject to observance of safety rules and the absence of obstacles for the Tournament participants. The confidentiality of the captured and viewed Tournament Stage shall be guaranteed by the Organizers, and shall be published only after the completion of this Tournament Stage. 6.16. In case of force majeure, the sportsmenshall refer to the Judge for assistance. 6.17. If the Sectors of participating Teams are situated less than 300 meters apart across each other or in such a way that the equipment of the Teams can intersect (Angle Sectors), the rule “IN HALF OF THE WATER" shall apply. If the distance between the Sectors that are located across each other is 280 meters, the participating Teams situated across each other shall be allowed to fish at the distances not more than 140 meters. Such coordination of the distance shall take place in the presence of the Judge and representatives of the participating Teams in the given Stage of the “IRON FISH” Tournament, whose Sectors are intersected in the water. The coordination shall take place before the start of the Stage, if the Team has comments of this kind. 6.18. At 5:30 p.m., on the first day of the competition, before the start of the Tournament Stage, 5 (five) carp bags, the antiseptic and mat shall lie near the plate, indicating the name, the Zone (if provided) and the Team Sector for judicial control. After carrying out judicial control, carp bags, mat and antiseptic may be freely placed inside the Sector. 7.1. The net for taking fish shall be not less than 28 inches or 70 centimeters wide (diameter), with a fine mesh. IT SHALL BE PROHIBITED to use a fishing line net to capture carp and grass carp. IT SHALL BE PROHIBITED to use pens and nets from metal mesh. 7.2. The Teams must have at least 5 own carp bags for storing caught fish and store no more than one fish in each bag. The Bags must be positioned as deep as possible under the water. There shall be no floats inside the bags or other foreign objects. No other way of storing caught fish during the competition SHALL BE ALLOWED. If all carp bags are filled up, you need to contact the Judge to weigh the fish and free up the bags. 7.3. It shall be mandatory for the Tournament participants to have a special mat for fish. Its quality must ensure complete safety for fish. 7.4. It is mandatory for the Tournament participants to moisten the carp mat and carp bags before placing fish onto them (in them). All fish taken in the net shall be placed only on a moistened carp mat, weighed, treated with antiseptic and shall be carefully released in alive condition back into the reservoir in the presence of the Judges. 7.5. The Team shall have the right to equip an unlimited number of fishing rods, but simultaneous fishing is allowed only with two fishing rods (working rods). The rods must be exclusively the feeder type and their length shall not exceed 15ft (4,572m). The rods must be equipped with a quivertip signaling fish rising, bypass rings, a non-inertial coil with a fishing line, a Flat Method feeder or a Method-feeder. 7.6. When two working rods are staying in the water, feeding SHALL BE ALLOWED with separate feeder rods not equipped with hooks. Requirements for fishing rods, used for feeding, are set forth in paragraph 7.5. of these Rules. 7.7. Spare fishing rods, depth measuring rods and feeding rods shall be placed in the Sector of a Team participating in the Tournament Sector spontaneously, but separately from fishing rods used for fishing (working rods). 7.8. A feeder nozzle may be delivered to a fishing point only using a fishing rod (a working rod). Each rod may be equipped with only one hook. 7.9. It shall be allowed to use electronic fish rising signaling devices during night hours at the minimum volume. During the daylight hours, fish rising shall be determined solely by the quivertip. Night hours and day light hours shall be determined by the Organizers for each Stage separately (based on the time of sunrise and sunset). 7.10. Only safe, slipping In-line assembly types of Flat-Method and Method feeders shall be permitted, which allow the fish to get rid of equipment in the event of the main fishing line breakage. 7.11. In-Line assembly is an assembly, where the feeder can easily, effortlessly, move along the lead core, the shock leader, the fishing line in the direction of the coil until it finishes. 7.12. It shall be allowed to use EXCLUSIVELY fishing line on fishing rods, with the help of which fishing is done. The cord shall be allowed to be used only as a shock leader (not more than 12 meters). Exception shall be the Tournament Qualifying Stage 1 that will take place at the water reservoir “Rober To” Hungary, it shall be allowed to use EXCLUSIVELY mono leaders from the fishing line on working rods and IT SHALL BE FORBIDDEN to use the cord as a shock leader. 7.13. Classic open-ended feeders may be used EXCLUSIVELY for feeding. Direct installation of a feeder for feeding to a cord shall be allowed (fishing line, shock leader). 7.14. The fishing line of fishing rods after casting shall not exceed the boundaries of the Team Sector, formed by the imaginary lines of the parties to the Fishing Sector. 7.15. IT SHALL BE FORBIDDEN to use radio-controlled devices, boats, echo sounders, as well as devices that are driven by compressed air, gas or electricity. 7.16. The color of the tippet and the method of fastening (but necessarily In-Line), weight and shape of the Flat-Method and Feeder Method shall be at the discretion of the Participant’s Team. The tippet length SHALL BE NOT LIMITED. 7.17. Springs SHALL BE FORBIDDEN. 8.1. Marking and searching for perspective fishing points within the limits of the participant’s Sector shall be allowed from the moment of the signal “Entry into the Sector”. The bottom metering shall be carried out using a marker float or by pulling the sinker to the bottom using a feeder rod that meets the requirements of paragraph 7.5. and is not equipped with a tippet with hook. Carp marking fishing rods SHALL BE FORBIDDEN. 8.2. In case the Team’s participant uses a fishing rod for marking and searching for perspective points during fishing, he shall firstly pull out one fishing rod from the water, which is used in fishing. For violation of this paragraph the participant SHALL BE DISQUALIFIED. 9.1. It shall be allowed to feed fish after the "Start" signal (6 p.m.) and before the sunset as well as in daylight hours during the Tournament until the “Finish” signal (12 p.m.). Night hours and day light hours shall be determined by the Organizers for each Stage separately (based on the time of sunrise and sunset). The exact time will be announced by the Organizers during the draw. During the other periods of time, feeding SHALL BE PROHIBITED. 9.2. The amount of feed shall not be limited, it shall be allowed to use bulk feed, boiled grain, boils, pellets. 9.3. IT SHALL BE STRONGLY PROHIBITED to use raw grain, fish caviar, metal baits, as well as clay. 9.4. Natural and artificial pop-up nozzles shall be allowed, boils and pellets, nozzles of animal origin, both alive and dead shall be allowed (in unlimited quantity). 9.5. Feeding shall be allowed only from the Fishing Sector with fishing rods, which meet the criteria set in paragraph 7.5. - “Cobra” during the entire Tournament. 9.8. IT SHALL BE FORBIDDEN to use for feeding "rocket” feeders, a bucket, with the help of tripod catapults, catapults, with the help of carp fishing rods for feeding (SPOD), IT SHALL BE FORBIDDEN to use APT materials. 9.9. IT SHALL BE also PROHIBITED to use any fishing devices for feeding and casting nozzles, which are driven by compressed air, gas or electricity. 10.1. The method of giving sound signals shall be announced and demonstrated during the draw during each of the Tournament stages. 10.2. After the first "Start" sound signal, the Teams’ participants may start feeding and fishing (Friday, 6 p.m., the date according to the Calendar schedule). 10.3. The second sound signal means "Finish", the competition time shall be over (Sunday, 12 p.m., the date according to the Calendar schedule). 10.4. ONLY fish caught and delivered to the bank before the second sound signal ("Finish") shall be counted. 11.1. After the draw, the Chief Judge shall announce the "Entry into the Sector" signal, the Teams shall go to the Sectors. Upon arrival to the Sectors, sportsmen shall place all their gear and feed in the middle of the Sector as required by clause 6 of these Rules. Each Team shall have time to prepare the gear before the “Start” signal (from 2 p.m. Friday till 6 p.m. Friday, the date according to the Calendar schedule). Marking shall be also allowed in accordance with clause 8 of these Rules. 11.2. The Teams shall have their own Judges (in accordance with the clause 13 of these Rules). 11.3. During the competition, the Judges may be in the Sector, in the causeway, behind the fishermen to the right or to the left, without interfering with the fishing process, but having the opportunity to observe it. 11.4. Carp bags shall be installed (marked) in such a way that the Judges could see them. 11.5. The following fish shall be counted: mirror, scaly, cessan carp, grass carp, tench and crucian carp. The fish caught shall be kept in the carp bags before the weighing procedure. 11.6. Not more than one caught fish shall be stored in each carp bag. All operations with the fish caught shall be carried out on (above) the carp mat (mandatory presence). Bags shall be as deep as possible under water, there shall be no foreign objects inside the bags. 11.7. It shall be allowed to use pellets, boiled grain, boils, as well as bulk feed, dry and liquid ingredients (attractants, “dips”, sweeteners, fats, flavors) as a nozzle and feed. During daylight hours for mixing the feed, it shall be allowed to use rechargeable mixers, during night hours IT SHALL BE FORBIDDEN. 11.8. Remember that only safe In-Line installation shall be allowed, which allows the fish to get rid of the feeder in case of a break in the main fishing line. 11.9. Side casting of ledger tackle SHALL BE FORBIDDEN. Sportsmen may cast the fishing rod only over the head. 11.10. During night hours, IT SHALL BE FORBIDDEN to illuminate water with spotlights, lanterns, light of car headlights and other light devices. It shall be allowed to use headlamp lanterns for fish playing, necessary manipulations with the caught fish, recasting of fishing rods, as well as for illuminating the inner space of the tent or the mounting table. 11.11. It shall be allowed to place no more than 2 active fishing rods on working racks or rod pods. The number of fishing rods in the middle of the Sector shall not be limited, provided that the spare fishing rods are upright and not located on fishing trays. 11.12. IT SHALL BE FORBIDDEN to transfer any fish caught to anybody, and also to accept any caught fish from anybody. 11.13. The fish placed outside the carp matshall not be counted. 11.14. All Teams MUST have an antiseptic to treat fish wounds. 11.15. Each participant must know the Competition Rules and comply with them in full. 11.16. A Team that has caught fish belonging to the species or having the size not provided for in paragraph 11.5 of these Rules or prohibited from fishing by the rules of amateur and sport fishing in this region must immediately release it from the water reservoir. 11.17. The Tournament participants SHALL BE PROHIBITED to be under the influence of alcohol or drugs during the Tournament Stages. IT SHALL also BE PROHIBITED to shout, make noise, turn on music loudly, and make a bonfire in the Sector. 11.18. The Tournament participant shall unconditionally comply with the requirements of the Judges assigned to them, the Chief Judge and the representatives of the Organizers in the implementation of the Competition Rules. Otherwise, the Team will be DISQUALIFIED. 11.19. Organizers of the “IRON FISH” Tournament shall not be responsible for preservation and damage (if any) of the gear, vehicles and other property of the Tournament Teams during the “IRON FISH” Tournament. 11.20. The Organizers shall not be responsible for the life and health of Team members during the “IRON FISH” Tournament. 11.21. By registering for the "IRON FISH" Tournament, the Teams agree with all provisions of these Rules and confirm that they have read the contents of these Rules. 12.1. The weighing reports according to the sample established by the Organizers shall be certified by the Chief Judge and issued to the Judges (Basic) and Teams (Duplicate) during the draw. 12.2. Weighing shall be conducted by Judges. The Judge shall carry out the weighing and record the Basic and Duplicate result in the Weighing Report. In this case, the Judge shall sign in the Weighing Report of the Team (Duplicate), and the Team member shall sign in the Judges' Weighting Report (Basic). 12.3. It shall be allowed to assist the Team Coordinator when weighing. Scheduled weighing No.4 – 12 p.m. Sunday, the date according to the Calendar schedule. 12.5. Unscheduled weighing shall be carried out in case when trophy specimen are present in the fish catch (more than 5 kg) or fish to be counted, or in case when the Team has no more bags for fish storage. 12.6. The Organizer shall issue 4 Reports for each Scheduled weighing to the Judge, wherein the Judge shall enter the results of the unscheduled weighing held before the time of the scheduled weighing. Subsequently, the Reports shall be transferred to the representative of the Organizer for publication on the official website of the Tournament at https://iron-fish in the "Results" section. 12.7. The Weighing Report shall be submitted by the Judge to the Organizer’s representative not later than 2 hours after the start of the Scheduled weighing. Scheduled weighing at 6 p.m.,all Unscheduled weighing that was carried out in the period between 6:01 a.m. and 6 p.m.shall be entered into the Scheduled weighting No. 2. The Judge shall hand over the Report to the Organizer by 8 p.m.
12.8. Weighing shall be performed using tested scales. The scales shall be fixed on a tripod mounted on the ground. In order to weigh the fish caught by the Team members, the Judges shall use the scales and tripods of the same model exclusively provided by the Tournament Organizers. 12.9. In case of a controversial situation, no one except the Team members (whose fish is being weighed), the Judges and the Organizer's representatives, shall have the right to interfere in the course of weighing either verbally or by any other means. 12.10. Bags for weighing shall be provided to the Judges by the Organizers. The bag shall be moistened before each weighing, and the scales be set to zero. In all Fishing Zones of the Teams, bags for fish weighing shall be of the same type. 12.11. Until the arrival of the Judges for weighting, the Team members shall not pull the carp bags out of the water. The fish shall be removed and put onto (above) the carp mat to the Judge's bag for weighing by one of the Team members. 12.12. Sportsmen shall moisten the carp mat and carp bags before placing fish on (inside) them. 12.13. After weighing and entering the result in the Weighing Report, fish shall be released back to the water reservoir by a Team member in the presence of the Judges. 12.14. When weighing, one of the Team members shall stand near the Judges to monitor the weighing process and sign the Weighing Report (Basic). Protests concerning the weight of the caught fish after the weighing and signing of the Judge’s Weighing Report (Basic) SHALL NOT BE ACCEPTED. 12.15. If playing and taking fish into the net was done in the presence of the Judges, then weighing shall be carried out without unnecessary transfer of fish into the bag and back, and the fish shall be directly taken from the net on the carp mat and put into the bag for weighing. 12.16. Weighing shall be deemed to be completed after the signing of the Report by the Judges and the Team member (except the Coordinator). 12.17. Fish, presented for weighing with traces of damages received as a result of being obviously negligently treated, shall not be counted and serve as grounds for the application of monetary penal sanctions by the Administration of the water reservoir. 13.1. The panel of judges shall be formed according to the number of Teams participating in the Tournament. Not more than 30 teams per 2 Judges. 13.2. In case if the water reservoir is divided by the Organizers in the Competition Zones, each Zone shall have a Judge. To check the accuracy of the Sectors occupied by the Teams before the “Start” signal. To give instructions on violations of the placement of equipment and gear of the Team members in the Sectors installed by them by draw (if any) and monitor the elimination of them before the “Start” signal of the Tournament Stage. To control the execution of the provisions of these Rules by the Teams, which stipulate NON-ACCEPTAPTANCE to participate in this Tournament Stage. To monitor actions of the Teams during the Tournament Stage for their compliance with the requirements of these Rules. In case of Controversies, to make decisions on the spot, guided exclusively by these Rules, with their written recording in the Violation Report. If the controversy situation cannot be resolved, to invite the Chief Judge and the representative of the Tournament Organizer to resolve the dispute (conflict). To weigh according to the procedure and schedule established by these Rules, specified in clause 12, to record the species and weight of each fish caught weighing more than 2 kg and the total weight of the catch (if the weight of fish does not exceed 2 kg). To submit the Scheduled Weighing Report to the Organizer’s representative according to the established procedure for entering results into the general table of results of this Stage in the terms specified in clause 12 of these Rules. 14.1. All Teams participating in the Tournament shall have the right to raise a Protest. A Protest shall be filed in writing by the Team member to the Chief Judge of the Tournament Stage in an arbitrary form. Together with the Protest, a deposit of UAH 250 shall be given. If a positive decision is made, the contribution shall be returned, if the protest is rejected, the contribution SHALL NOT BE RETURNED. 14.2. Protests shall be filed no later than an hour after the end of the respective Tournament Stage. - Chief Judge of the Tournament Stage. 14.4. Decisions on Protests shall be taken by the Panel prior to approval of the results of the Tournament Stage. 14.5. The Team’s Representative that filed the Protest shall be present at the Panel’s meeting during the Protest review. 14.6. The Team’s Representative, against which the Protest has been filed, shall be brought to the attention of the Judges and be familiar with the essence of the protest. The presence of the Team’s representative, against which the Protest has been filed, shall not be required at a meeting of the Panel. 14.6. The Panel’s decision on the application of Sanctions under the filed protest or rejection of the Protest SHALL NOT BE SUBJECT TO DISCUSSION OR APPEAL. 14.7. The Panel shall not be obliged to explain its decision. 15.1. Judges shall have the right to make a verbal warning to the Team members participating in the Tournament for minor violations of the provisions of these Rules without entering such violation in the Violation Report. 15.5. A Team, which got two warnings at one Tournament Stage, entered by the Judges in the Violation Report, SHALL automatically BE DISQUALIFIED. 15.6. Upon disqualification, the Team shall be obliged to leave the occupied Sector as quickly as possible, its result shall be canceled and have the last place among the Teams participating in this Tournament Stage. 15.7. Entrance fee upon disqualification SHALL NOT BE RETURNED. 15.8. In case of repeated disqualification of the Teams during the year, the Team and each of its participants shall be disqualified FOR A YEAR WITHOUT THE RIGHT TO APPEAL THE DECISION. 16.1. Determination of the winner of the Tournament Qualifying Stages shall be carried out according to the maximum total weight of fish caught by each Team. Upon division of the territory of the Tournament Stage into Zones, the winner of the Tournament Stage shall be determined among the Teams, which were participating and took the first place in their Zone for the highest overall weight of the catch. 16.2. Upon the same catch weight made by the winning Teams, the weight of the largest fish caught and registered by the winning Teams shall be decisive. 16.3. Teams who have won 2, 3 and 4 places in the Fishing Zone shall be defined as the winners of the Tournament Stage, which took 1, 2 and 3 prize places in the Fishing Zone, respectively. 16.4. Points shall be calculated in the General Table of Tournament Results according to the place occupied by the Team in its Fishing Zone. 16.5. In case the Teams in the Fishing Zone have not started from zero, places of such Teams shall be summed up and divided by their number. The resulting arithmetic value shall indicate the place occupied by the Teams in the Zone. If the number is not integer, it shall be rounded off by mathematical rounding rules. 16.6. The Team’s overall result to participate in the FINAL BATTLE Tournament Stage shall be determined by the sum of the best performances in the Tournament Qualifying Stages less the earned bonus points (if any). Bonus points shall be taken into account in calculations, regardless of whether the result of this Stage is to be included in the calculation of the Team's progress to the "FINAL BATTLE" Stage or not. The Team performed in 4 stages. 16.7. Only the first 30 participants according to the Tournament Team’s overall result shall be accessed to the FINAL BATTLE Stage. If more than one Team gets the same number of points to enter the FINAL BATTLE Stage, the Team’s Total Overall Catch shall be taken for comparison for two Best Team’s Performances at the Tournament Qualifying Stages, and the one having the bigger catch shall have access to the FINAL BATTLE Stage. If the results of the contended Teams coincide again, then in the FINAL BATTLE Stage there will be the Team that caught the largest fish by weight at all Qualifying Stages. 16.8. The FINAL BATTLE winner shall be determined by the maximum total fish caught by each Team. Upon the same catch weight, the weight of the largest fish caught and registered by the Tournament participant during this Stage shall be decisive. 16.9. When dividing the territory of the "FINAL BATTLE" Stage into Zones, the winners of the Tournament Stage shall be determined among the Teams that took the first place in their Zone for the highest overall catch weight. Similar to the example given in paragraph 16.3. 16.10. The winner in the "Big-Fish" nomination, at all stages of the Tournament, without exception, shall be determined in the overall score for the highest weight of Carp or Grass Carp caught by the Team member. 16.11. Upon termination of the FINAL BATTLE Stage, a recalculation of the Team’s overall result shall be made according to the performances at all Tournament Stages pursuant to paragraph 16.6. and determination of the "IRON FISH" Tournament winner in 2019 having the best result of the performances. 16.11. Results of the Teams participating in the “IRON FISH” Tournament shall be displayed on-line on the official website of the Tournament at https://iron-fish in the Results section. 2019 Tournament Total Result (Total Result of Teams participating in the Tournament Stages). 17.1. All exclusive Authors’ rights to use video and photo materials captured during the “IRON FISH” Tournament belong to the Tournament Organizer, owner of the official registered trade mark “IRON FISH” Mr. Salnik Maksym Anatoliiovych, TIN 2960818174 (hereinafter referred to as the “IRON FISH Rightsholder”). 17.2. It shall be allowed to use video and photo materials captured during the “IRON FISH” Tournament for commercial purposes and/or in order to popularize products, services and trade marks exclusively with the prior written consent of the IRON FISH Rightsholder. - do not discret or damage reputation and interests of the IRON FISH Tournament etc. 17.3. Videos and photos which are not intended for commercial purposes and/or in order to popularize products, services and trade marks may be captured with the prior oral consent of the IRON FISH Rightsholder. 17.4. By registering the Team members (collectively and individually) agree that Tournament Organizers and mass media accredited by the IRON FISH Rightsholder are entitled to capture videos and photos with their participation and that the IRON FISH Rightsholder may gratutiously and freely use these materials at his discretion. Any encroachment on rights of the IRON FISH Rightsholder provided by the Act of Ukraine concerning the protection of rights to trade and service marks, including doing this without the consent of the IRON FISH Rightsholder that is required when doing this as well as intention to do this are considered to be a violation of rights of the IRON FISH Rightsholder and result in the liability according to the current legislation of Ukraine. At the request of the IRON FISH Rightsholder such violation shall be eliminated and a violator shall indemnify the IRON FISH Rightsholder for losses incurred which extent will be specified by the IRON FISH Rightsholder. We are happy to congratulate you on the open “IRON FISH” Tournament on Flat Method Feeder. 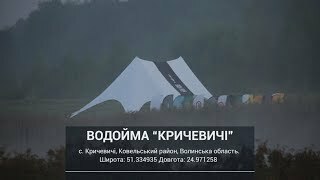 The tournament was created with the support of the "Trophy" channel for the most powerful fishermen in Ukraine, ready to compete in the most difficult conditions of fishing in the 42 hour-mode Non-Stop! The “IRON FISH” Tournament consists of seven Stages. Six qualifying Stages at six different water reservoirs of Ukraine and the final, the seventh stage of the Tournament, at water reservoir “Orlean”. 30 teams having the best two performances during the Tournament will enter the Final Stage. You can read more about it in the full Tournament Rules. Trip with the TV Channel “Trophy” crew on a carp fishing competition with Method and Flat Method Feeder. There will be a movie produced about the trip and shown on the TV channel. In addition, at each stage of the Tournament, the winners will be awarded with valuable prizes from competition sponsors, as well as with exclusive cups and medals of the “IRON FISH” Tournament. Register now, the number of Team members is limited! © «Iron Fish». All rights reserved 2016 - 2019.